If you check out my life list, you’ll see it’s a work (life) in-progress. 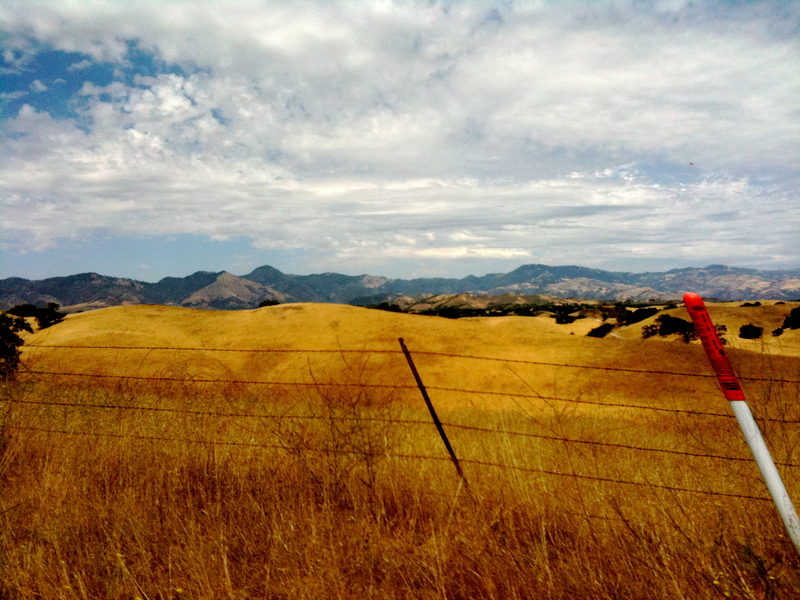 #71, Return to the Santa Ynez to walk in the fields and write, was one of those Lift List goals that snuck up on me and that’s part of what made it so enjoyable. Last month, I traveled to California for an extended period of time to see friends, meet babies, and work from a different location (as lovely as my apartment/workspace is, sometimes I need a change of scenery). 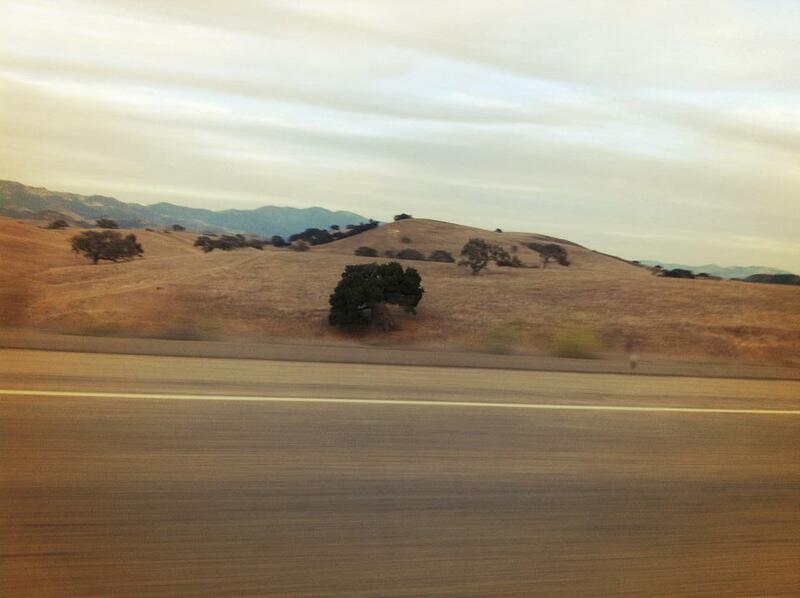 During that trip, I visited a friend in Santa Barbara — a place I had only been once before, where I fell in love with and vowed to return to the Santa Ynez mountains. Since I had a few work days to kill before my friend and I went on an adventure to Hearst Castle, I decided to spend those days writing up in the mountains. 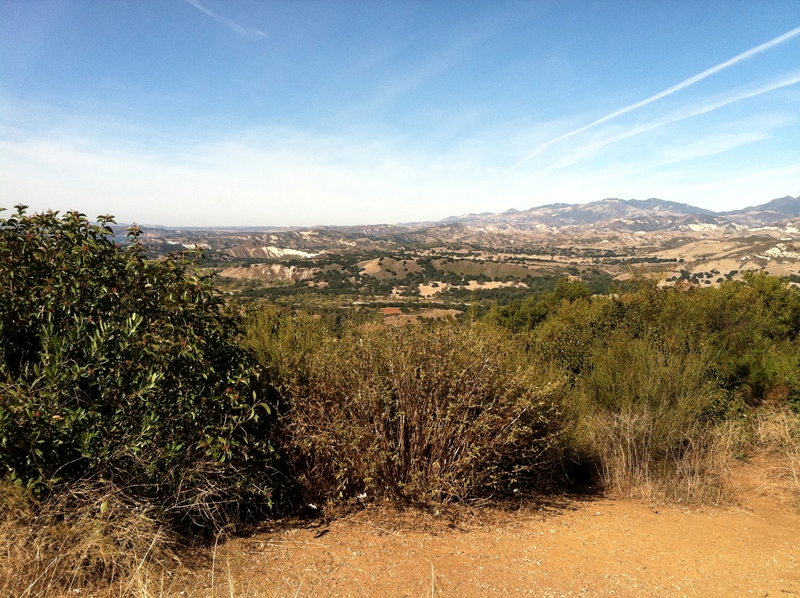 At 9am every morning, I made the 30(ish) minute trek up through the gorgeous mountains and settled on the deck of Corner House Coffee, in Los Olivos. While I typed away on my laptop, I watched the citizens of this small town come in for their morning coffee, stop in for a muffin or a lunch time sandwich or meet up with a spouse after their work day. I heard their local gossip, learned about new construction underway, and pet a few adorable dogs. 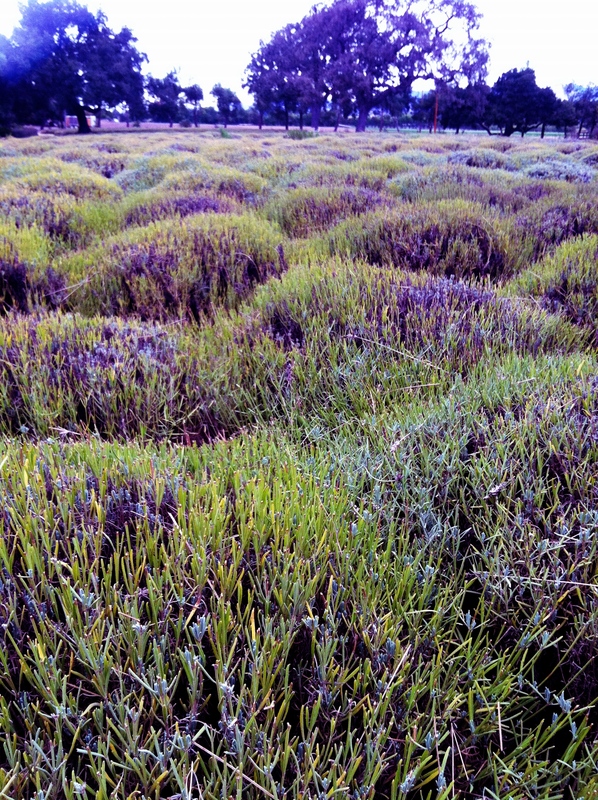 I turned down long driveways and was greeted with the smell of fresh lavender or manure. 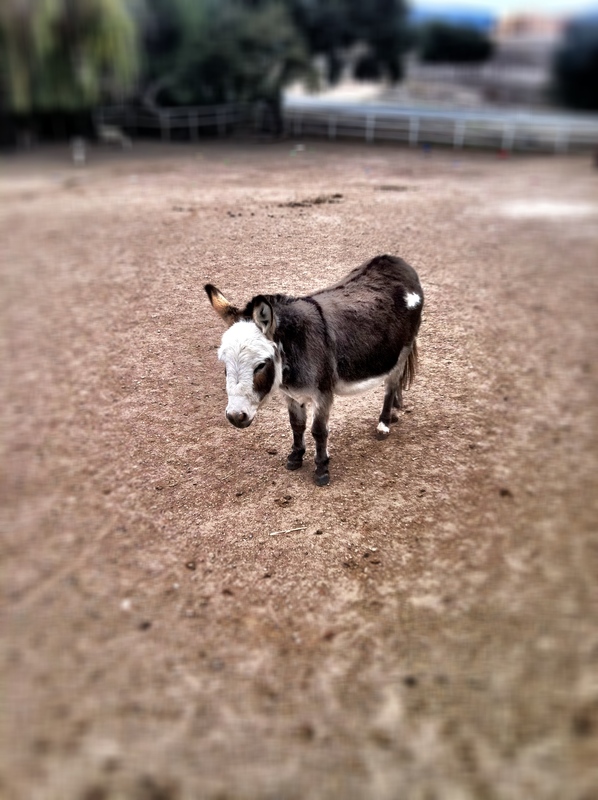 I bought linen spray and almost walked away with a miniature donkey. I walked through an olive grove, picked a few olives off a tree, and absently put them in my pocket — where I rediscovered them a few weeks ago, shriveled and hard as rocks, but they made me smile. I’ll keep them in that jacket to remind me that I took a risk, went off the beaten path, turned off the GPS, didn’t follow Mapquested directions or my hour-by-hour itinerary and just drove — only turning when I encountered small hand-painted signs to destinations that sounded interesting. This freedom from schedule, even from knowing where I was, was exhilarating. After my lunch break adventures, I went back to the coffee-house and moved indoors, where it was warmer and I could plug-in my laptop. From there, I’d lose myself in World War I and lost romance while the milk steamer hissed and the baristas chatted with each other during their downtime. When the local school children started pouring in and ordering frappes, I emailed my collaborator my rewrites, turned off my computer, and prepared for the trek back down to Santa Barbara. I wrote (and rewrote) two scenes during those days in the Santa Ynez and, not surprisingly, they are my favorite moments in our musical. I’d like to think I first recognized a magic in those mountains that provoked me to add #71 to my Life List — something that lead me to include the words “and write.” An instinct of sorts. Maybe even a connection to nature. Whatever it was, I’m so happy I listened to it, took advantage of my days there, and had the opportunity to be inspired by such a breathtakingly beautiful region. 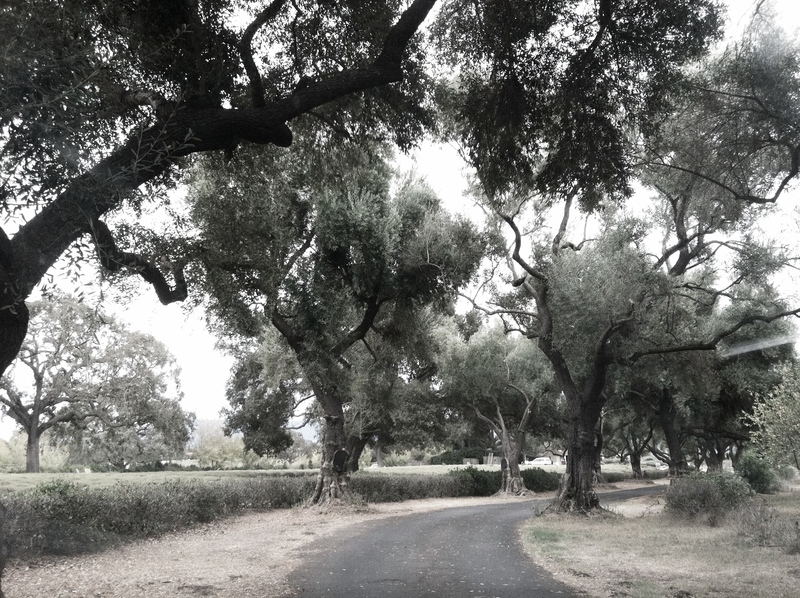 This entry was posted in Uncategorized and tagged #71, california, life list, los olivos, mighty lift list, mountains, nature, off-the-map, santa barbara, santa ynez, writing. Bookmark the permalink.